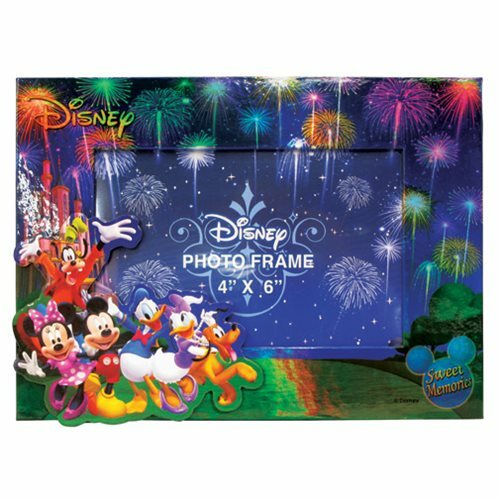 Celebrate your love for Mickey Mouse and the gang with this Mickey Mouse and Gang Fireworks Photo Frame! Cherish your favorite memories in this brightly colored photo frame. This frame measures about 8 1/2-inches long x 6-inches tall. Ages 15 and up.